So you know how YouTube stars are emerging from one coast to another? Well, I tend to follow a couple of these said stars. 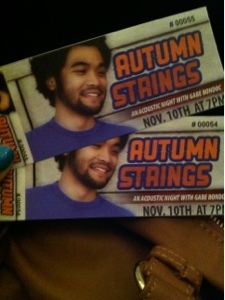 One of which is Gabe Bondoc. My "long lost friend" has returned and decided we should go out. There was a penciled plan already, but in the middle of the day he stated texting me. For a second I thought he was going to cancel on me and I was getting pissed, but he didn't. 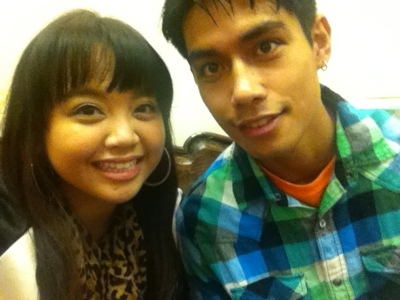 Instead he took me to see Gabe Bondoc. I was so excited. I never though I would see Gabe in person. He's so amazing. His voice is so magical to me. 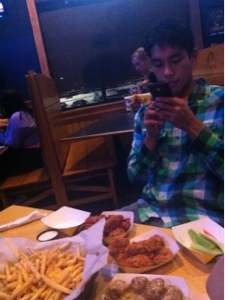 We had bdubs after.